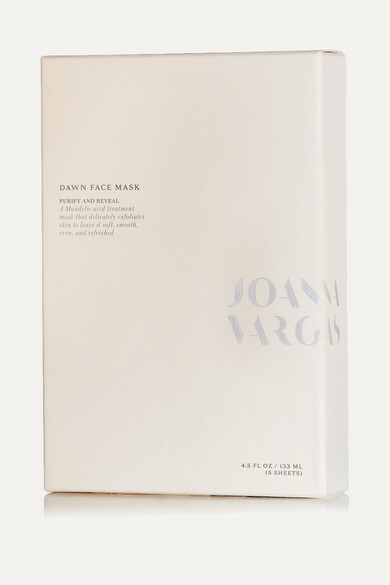 Dermatologist to an impressive list of Hollywood's most high-profile women, such as Sofia Coppola, Naomi Watts and Julianne Moore, Joanna Vargas knows a thing or two about face masks and always takes them on long-haul flights. Designed to have lasting results after just one use, this set of five 'Dawn' sheets is formulated with Hyaluronic and Mandelic Acids that exfoliate dead cells on the surface, tighten pores and soften fine lines. They're the perfect fix for revitalizing a tired or dull complexion.